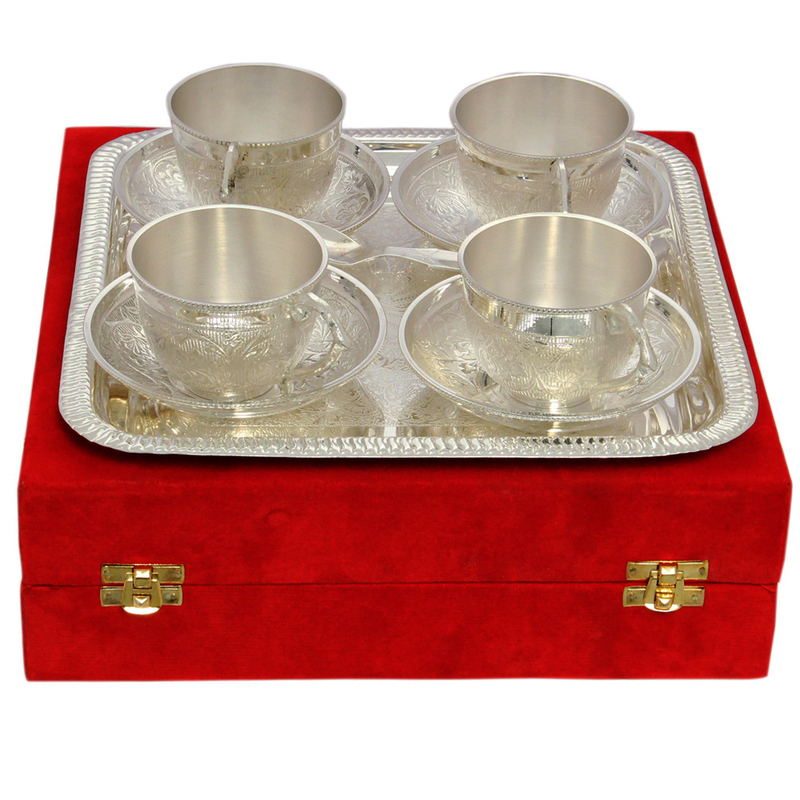 The Set of 4 Cup & Saucer with Serving Tray in German Silver will surely enable its owners to impress their guests with their choice Read More..of cutlery for offering beverage and refreshments. The finesse of finish on the cups does ample justice to the exquisite design work, while the saucer proves to be a matching companion to the ornate cups. Moreover, the stylish serving tray adds to the charm and appeal of this set by making it more convenient for its users. Show Less..